You may pay the premiums every month, and you may call them “your” insurance company, but no insurance company is on your side. They work to protect profits. If you want someone on your side, you need to call an Oklahoma City Auto Accident Attorney. An auto accident lawyer can help make you get a fair settlement on your car, you get your medical bills paid while your case is ongoing, and that the other driver’s insurance company pays you what you are legally entitled to. Sometimes insurance adjustors try and rush you to make a statement or even to accept a settlement. You owe it to yourself to understand your options and your legal rights. Have your case evaluated today by someone whose job is to protect your interests, and not to protect corporate profits. You only have a limited time to receive a financial recovery from an auto accident. Do not delay in getting help. 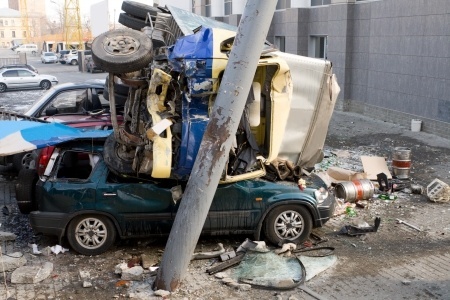 Auto accident cases can be very complicated and time consuming. The Wirth Law Firm’s Oklahoma City Auto Accident Attorney is ready to spring into action after a thorough review of your case. The longer you wait to see an auto accident lawyer, the more difficult it may be to protect your legal rights and to obtain the financial recovery you may be legally eligible for. Every day you delay works against your case and for the other driver and their insurance company. You do not have to be done treating before seeing an auto accident attorney. Getting hurt in an auto accident is serious enough. Having to deal with insurance companies is enough to make anyone sick. Insurance adjustors have negotiated hundreds, maybe even thousands, of car accident settlements. Don’t face the experts alone. Even the odds by hiring an Oklahoma City Auto Accident Attorney to stand up for you and protect your rights. You need a tough, experienced, and diligent lawyer to make sure you are getting a fair deal. For a free consultation with an Oklahoma City auto accident attorney call the Wirth Law Office- Oklahoma City Attorney at (918) 213-0950. You can also submit an email question from the top right corner of this page. We will respond as quickly as possible to all questions.